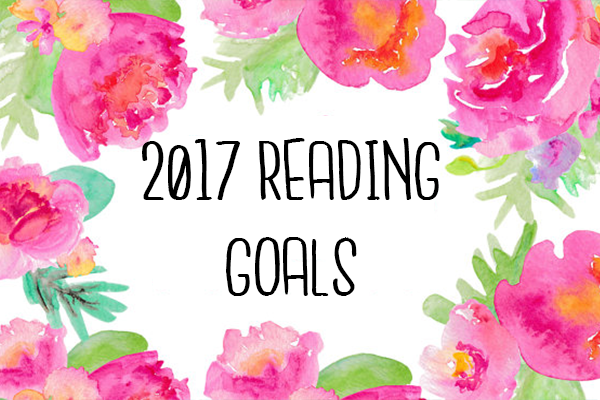 Hello everyone, today I'm going to be sharing my 2017 reading goals. Can I just start by saying where the hell did 2016 go...I feel like the years are going quicker and quicker the older I get. So this year I set myself a target of 40 books. To some people this might not be a lot. But between University and life in general I don't have the time to read nearly as much as I would like. I'm actually 3 books ahead of schedule right now which makes a nice change. My first reading goal is to read more diverse books. There is something called #DiversityBingo where there are different categories of diverse books and the aim is to read a book from each of the categories by the end of the year. I won't be doing the whole challenge as I don't think I'd have the time to do it, but I have decided that I will pick and choose some categories every now and then so that I am still reading more diverse books. My second reading goal is to make more time for sitting down with a good book and a coffee. A lot of the time one of my main reasons for not reading is I can't be bothered. Which I know sounds stupid because you're literally sitting down doing nothing. But that's the problem for me, I'm quite a fidgety person, I tend to always do more than one thing at a time. For example; I'll watch tv while being on my phone and my laptop, doing three different things at once. I need to remind myself to just relax and sit and read a book. My final reading goal is to start finishing series. There's so many series that I've started and haven't finished even though I love the books. The biggest problem with it is that I have the memory of a goldfish. So when I do eventually get around to finishing a series I've forgotten the majority of what's happened, meaning I have to go back and re-read all the books. Which is extremely annoying when you have so many amazing books on your TBR list. So that's my reading goals for 2017. I'm hoping that by the end of this year I'll be able to say that I achieved them. Let me know what some of your reading goals are, I'd love to hear them! Finish series is one of my goal of the year, too! I really want to start Grisha since I have the entire trilogy but I need to finish at least one serie before of that. I am planning to finish at least 3/4 series in the year but I know I will start as many xD I have a problem. Yeah I have the Grisha trilogy too, and i've had it for so long! I don't know why I haven't read it yet. Yeah, I have a problem too. I think the issue is I find a lot of series seem to fizzle out and I lose interest. Yeah I have to admit I don't read enough diverse books and I really want to change that. I have tried audiobooks but I just don't get along with them, I don't take anything in like that :( I wish I did though, I could do so many things at once! Good luck with all your reading goals and with branching out genre wise. I've been trying to do more of that as well and so far I've really liked what I've read. Thank you! I'm really looking forward too it. And oh good I'm glad, have you got any recommendations? These are fantastic goals! I'm trying to read a bit more and more diversely as well. Good luck with these! Thank you, and yeah I think it's something a lot of people are doing this year. Good luck to you too! Thank you, and good luck to you too, reading diverse books is so important! I would probably follow all of your goals cause they are exactly what I want to accomplish this year. My problem is not wanting to sit and read, but I do so and I read 15 minutes and then I really, really want to stand up and do something else and then go back to reading again. It's so annoying. Anyway, I wish you the best luck with everything! It's so weird isn't it! Yeah that's me as well, I have to tell myself to sit down and read because once I do I really enjoy it! Thank you, you too! Insta-Love: Love it or Hate it?